Do you know hundreds of people die of preventable diseases each year, which are caused due to improper sanitation? 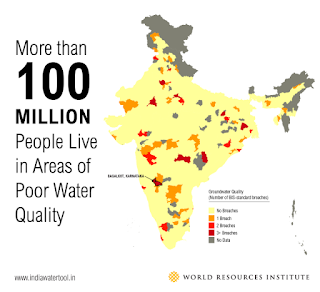 Do you know waterborne disease kill over a lakh in India? These staggering numbers are an indication why we are still considered a developing nation. Our system has failed to provide basic amenities like water and sanitation to a major chunk of population. Hydration is an important aspect of our survival and hence access to clean drinking water becomes our prime need. As we all know water makes more than half of our body composition and we lose water with every activity, including breathing; both the quantity and quality of water consumed are important. There are many regions in our country where water is not easily available - Kutch Region. And, there are many places where water is available, but it’s contaminated with bacteria or chemicals - in industrial towns and rural parts of the country. The scenario is not very good, even in our metro cities, for example - slums of Kolkata and Chennai don’t have access to clean drinking water. As a result diseases like diarrhea, cholera and dysentery are rampant there. The only permanent solution to this problem is adequate supply of clean drinking water. It will eventually improve the health and living standard of the community. One another problem faced by low income settlements in big cities is proper sanitation. According to a UN report 2.5 billion people defecate in the open and the worst part is India tops the list with 600 million people. It goes without saying that defecating in the open has health issues, but think how difficult it is for those women when they are having their menstrual cycle. And what about the children...they are more prone to diseases spread by such unhealthy environment. Hundreds of people die of preventable diseases each year, which are caused due to lack of proper sanitation. Human excreta is the transmission source of many infectious diseases including, cholera, typhoid, infectious hepatitis, polio, cryptosporidiosis, and ascariasis. Worse, many of these have life altering effect. Lack of sanitation in addition to being a reflection of the poor living condition, is a major reason for pollution. Such untreated waste pollutes land, rivers, canals and groundwater. We need to develop and implement a comprehensive system which provides clean drinking water and proper sanitation facilities to those who can’t afford it. Not only that, efforts should be made to teach the benefits of maintaining such facilities and the value of it. WASH Program - an acronym for Water, Sanitation and Hygiene is launched by TERI University, U.S. Agency for International Development (USAID) in association with Coca-Cola. 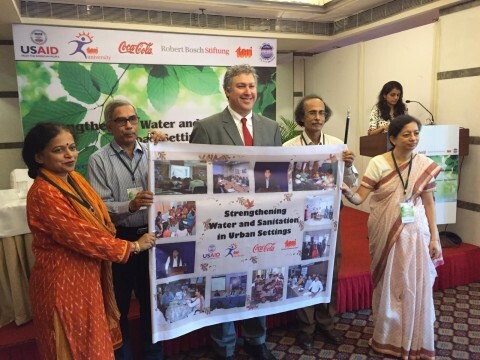 This program is working towards Strengthening Water and Sanitation in Urban Settings in India. This unique endeavor aims to reach 50,000 beneficiaries in low income settlements like the slums in metro cities. An extension of this program, which in my opinion will bring exponential benefits, is to reach 300 professional through WASH governance studies. In addition to working at ground level and with professionals, this program will educate 2500 children through municipal schools in India. What a remarkable and comprehensive plan! I believe, that with proper implementation of government programs, well structured campaigns, like WASH and creating more awareness, we can make India cleaner, healthier and developed. It will not only improve the living conditions of a few families, but of the entire society by making it clean and disease-free. It's disturbing and reflects the poor state of affairs in our country. Great that you are taking some action on it. Saru, this is an eye opening post. Unless the people co operate, all sanitation plans will come to a naught.Recently a statistical report was released ,which depicts the actual condition of various towns/ cities.Last week I wrote a post ''clealiness is next to Godliness''. It may be of interest to you. Situation is always worse in reality. Would love to read your post ma'am. Indeed. Thanks for reading, Maitreni. True what you say .. the worst thing is that GOVT DOES have such ideas but the problem comes in implementing them... because by the time a scheme is implemented officials etc have already lines up their pockets and what is left if too less to implement the schemes in a way that they make a difference..
Well said. Plans are always good, implementation lacks. We need honest people to make this country better. This is an important initiative that effects the overall health of people. So hope that besides creating the awareness, the implementation goes as planned and scheduled. True that, implementation is the key. I hope people will understand the importance of hygiene and sanitation for a healthy life. Such initiatives are need of the hour. Right! We need more initiatives like this. An initiative movement :) Hope it will bring positive hope in our society. A very innovative and meaningful initiative by Coca Cola -WASH. Saru Ji , You have a post with detailed data and the places where water is most required. hope for the improvement . Hope so too and thanks for reading. Yes, it's a great start. It aims to spread awareness, which will brings rewards for years to come. India is millions light year behind proper sanitation facilities.. Good article Saru! So well said. We live in stone age. That's good to know, Sam. Yes, those buy with having a square meal won't have the time/energy to think about hygiene. Clean water is crucial to a dignified and healthy life. Nice initiative!!! Clean water is a fundamental need!! Also more such programs should come up!!! I guess what's most important is the fact that hygiene, sanitation and so on and so forth needs to be considered as very important in our lives. From childhood, parents should ensure that their children learn the importance of staying clean and also ensure the surroundings are maintained properly and cleanly. Such habits should be taught in the childhood. Sadly in our country we don't have access to these basic amenities. Hope things change for better with campaigns like WASH.
We need to create more institution in India for wash professional. Only Tiss is one of the leading university providing. Wash diploma. Still wauting for Masters program in india. Being in WASH student its our moto to reach the most underdeveloped village. We are trying to bring the wash ideas into public domain.